The landscape of the American workplace is changing and the traditional cubicle-divided office is likely to be one of the main casualties (or so we hope). The best estimates suggest that by 2020 around 40% of American workers will be independently employed. So the question is: where will all of those people work? Certainly many of them will tap away on laptops at their kitchen tables or their favorite coffee shops. But that doesn’t mean the office is dying. Instead it’s being reimagined as a space where freelancers, temps, entrepreneurs, contract workers and small businesses comingle, collaborate and create a new type of community. So join us for the FaxNgo guide to coworking, because there’s a good chance that this could be the future of work. 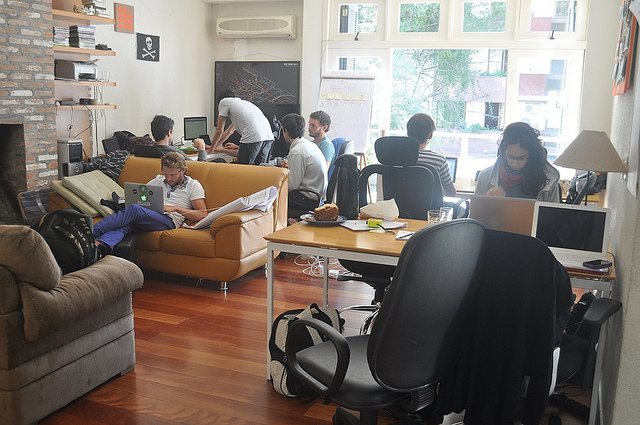 Coworking is by no means a fully defined concept yet. To some it’s just a place where you can find a desk to work at, a convenient and less traditional way of renting office space. To others it is something more profound than that: a reimagining of the most fundamental questions around work. Either way, generally you can pay a small fee to use the facilities for a day, or rent desk space on a monthly basis. According to Deskmag, the average monthly cost for a flexible desk and 24/7 access at a coworking space in the US is $209. To have your own dedicated desk you’d be looking at a cost of around $387 per month. As much as many of us dream of the freedom that we imagine comes with working from home, the truth is that we are social animals. That means the loneliness and monotony of rolling out of bed and dragging your laptop to the sofa every day can start to grate. Coworking offers the best of both worlds. You get the independence to choose when you come and go and what you work on, along with the camaraderie that comes with working in close contact with like-minded individuals. That means lunch buddies, happy hours and all kinds of good stuff that you don’t get when you’re sitting in your pajamas at home. 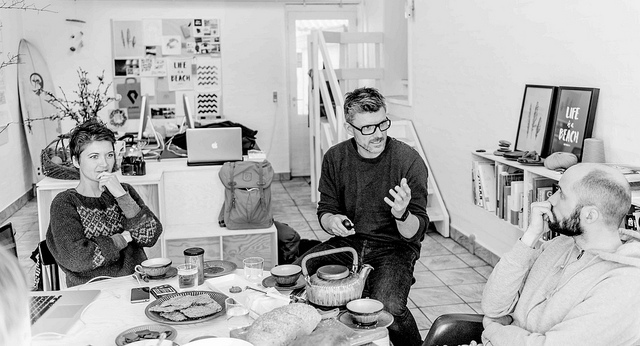 Collaboration is at the heart of the coworking philosophy. That ideal of community plays into this. It means that there is a lot of crossover between the professions and expertise of all those individuals sharing the same space. When you have a group of hungry, ambitious marketers, creatives, programmers and entrepreneurs sharing the same space, possibilities begin to expand for everyone. Working alongside smart, interesting people is energizing and can inspire you to bring new approaches to your own work. This could range from brainstorming an idea with someone with more expertise than you, to recruiting people to help with projects that are too big to handle on your own. Numerous startups have been born from collaborations, even idle conversations, between coworkers. One of the key drivers behind the rise of coworking spaces around the world is the shift that has taken place in work culture as communications technology has improved. Work is no longer something that’s fixed in time and space. For many of us there are no 40-hour workweeks or daily commutes to the office. Those of us working as freelancers or on a contract basis are judged more on task or project completion rather than the hours we put in. Coworking spaces fit this model of work neatly. They often offer 24/7 accessibility, allowing coworkers to choose the hours that suit their lifestyle or the schedule of clients or employers based in another part of the globe. According to Deskmag’s survey, only 30% of coworkers say they work typical 9-5 hour days. The flexibility of coworking spaces can also work well for startups and solopreneurs, allowing them to expand or contract their workforce and workspace much more quickly and cheaply than would be possible in a traditional office environment. Coworking isn’t only about freelance web devs and cutting-edge creative types, many companies are utilizing them as well-appointed, well-connected bases for remote employees around the world. For a very small outlay coworkers get access to the kind of amenities and cool design usually enjoyed by employees at Bay Area tech companies and well-funded startups. It’s typical to see a range of different work areas, including quiet, private areas, more collaborative open spaces, and relaxed soft areas (think beanbags, hammocks and armchairs). You can also expect things like coffee facilities, kitchen areas and classes. One of the real advantages for small businesses and entrepreneurs over home working is the provision of conference suites and meeting rooms. These facilities make it much more comfortable to invite clients, partners and potential investors for meetings. 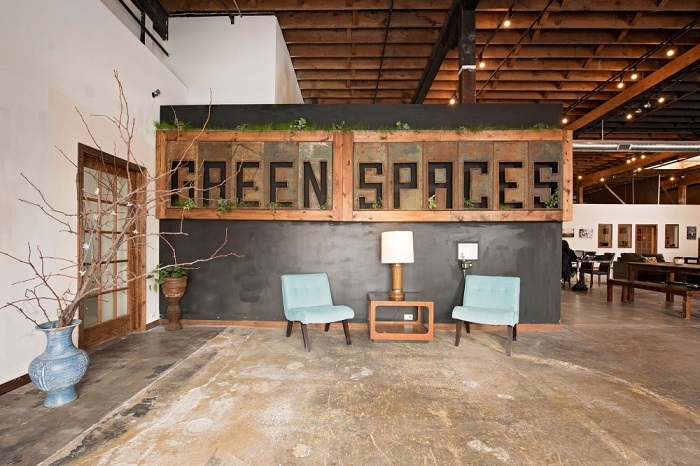 There are also ecological benefits to coworking. The whole concept is based around the idea of sharing and collaborating to create a better work environment. There’s no doubt that one of the key motivators for many independent workers in deciding to join a coworking space is a desperate need to avoid the ever-present distractions that make working from home a minefield for the unfocused mind. 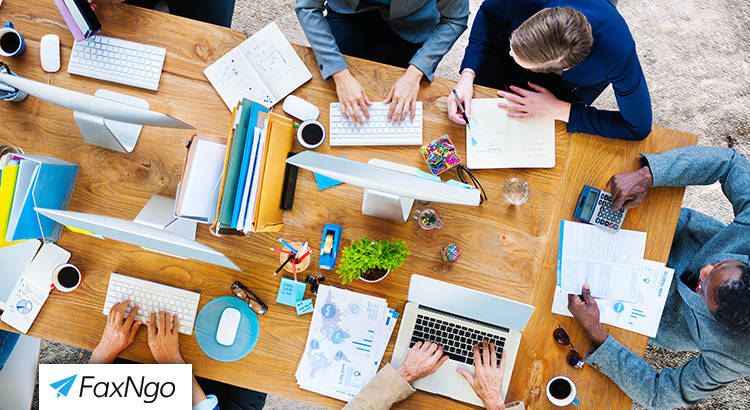 Indeed, in Deskmag’s annual Global Coworking Survey 68% of respondents claimed they had better focus in a coworking environment, while 64% found it easier to complete tasks to deadline. There are costs, of course, to turning to a coworking space. Actual, out-of-your-pocket financial costs as well as the equally painful loss of a certain louche freedom. But look what you get in return. All those lost hours of procrastination and distraction that you’ll gain back should more than cover the cost of renting desk space at a shared office. Have you worked in a coworking space? Could you? Let us know what you think in the comments below.